Ideal for children`s or single bedrooms. 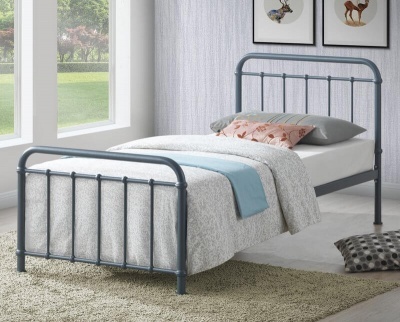 The Barcelona bed frame looks great in young and old themed bedrooms. Warm shaker style with chunky posts and a slatted headboard. Robust build. Constructed from solid pine with a wooden slatted base. High build quality with a hard-wearing low sheen lacquer finish, that allows the natural beauty of the timber to show through. Fits a standard UK single 90 x 190 cm mattress available separately.